For General Product or Sales Information, please use our Request Information form. Apple Label Convertors, Inc. is located in Waterloo, Ontario. 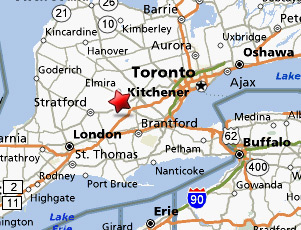 Our central Ontario location provides easy access from Kitchener, London, Brantford and Toronto. For our United States customers, Apple Label is within one hour driving distance from Buffalo, New York. please use our Map Link.